The NSW Government is tapping into Microsoft’s Azure cognitive capabilities to build a machine learning neural network to categorise how its $30 billion annual procurement budget is allocated each year. The work is part of an initial proof-of-concept being developed under a non-exclusive memorandum of understanding (MoU) aimed at helping to support and drive the state government’s digital and data agenda. The non-exclusive MoU sees the NSW Data Analytics Centre (DAC) work with Microsoft to commercialise its data science capabilities and optimise its ability to offer products both inside and outside of government. The proof-of-concept being developed by the NSW DAC and Microsoft is intended to focus on the 8 million transactions which make up NSW’s $30 billion annual procurement budget, Microsoft said in a blog post. According to NSW’s chief data scientist and DAC CEO Dr Ian Oppermann, the NSW Government expects a more data-driven approach to result in greater clarity and insights that it is hoped will help to optimise government decision making and policy. “In the case of this particular project what we’re looking at is using some very sophisticated artificial intelligence techniques to analyse and categorise New South Wales’ procurement spend with the big picture goal of helping the people who are working to reform procurement,” Oppermann said. It is understood that one of the core insights the NSW Government is hoping to uncover with the proof-of-concept is the whether it is getting value for money for the procurement on which it is spending money. 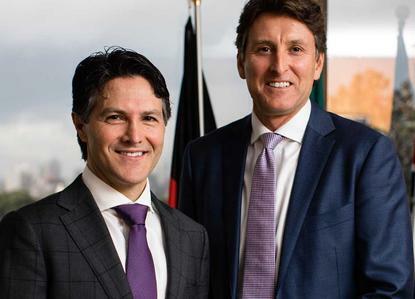 “The NSW Data Analytics Centre is an employer of some of the best data scientists who are spearheading data analytics inside of government,” NSW Minister of Finance, Services and Property Victor Dominello said. “Our partnership with Microsoft will allow the NSW DAC to go a step further, servicing not just NSW Government agencies, but governments and corporates around the world. The DAC will leverage Microsoft’s deep engineering expertise with the goal of commercialising within a year,” he said. For Microsoft Australia managing director Steven Worrall, the DAC serves to highlight the sort of data rich solutions that are being created rapidly and deployed globally. “This allows DAC’s leading data scientists to blend their expertise with the rich analytics capabilities of the Azure stack, our array of cognitive services and then leverage the trusted and high performing global Azure cloud, so that DAC can scale its solutions rapidly and make them available in other geographies,” Worral said. This is not the first time Microsoft Australia has worked closely with the NSW Government. In February, the software giant launched its ScaleUp accelerator program in the NSW Government’s Sydney StartUp Hub. The Sydney-based iteration of the global ScaleUp program is the eighth such start-up accelerator to be launched by Microsoft, with others already operating in cities such as Seattle, Beijing, Berlin and London.